Whether you stay at The Newport for business or pleasure you ll experience casual elegance as never before in a relaxed waterside atmosphere with the very best that Newport has to offer right outside your door. Enjoy world-class shopping and sightseeing or boating right at our world-class marina. Whether you re our guest at The Newport with a business group of fifty or a romantic getaway for two you ll receive our undivided attention. Our newly-renovated hotel offers 133 beautifully appointed guest rooms all with breathtaking views of either Newport Harbor or historic Queen Anne Square. Enjoy our indoor heated pool mens and ladies saunas and sundeck overlooking the harbor. Enjoy sumptuous dining at Pier 49 Seafood and Spirits serving classic New England cuisine open daily serving Breakfast Lunch and Dinner Room Service also available. 22 Bowens Wine Bar and Grille: Upscale steak house. Waterfront. Hours vary. Black Pearl: Formal and casual dining. Hours Vary. 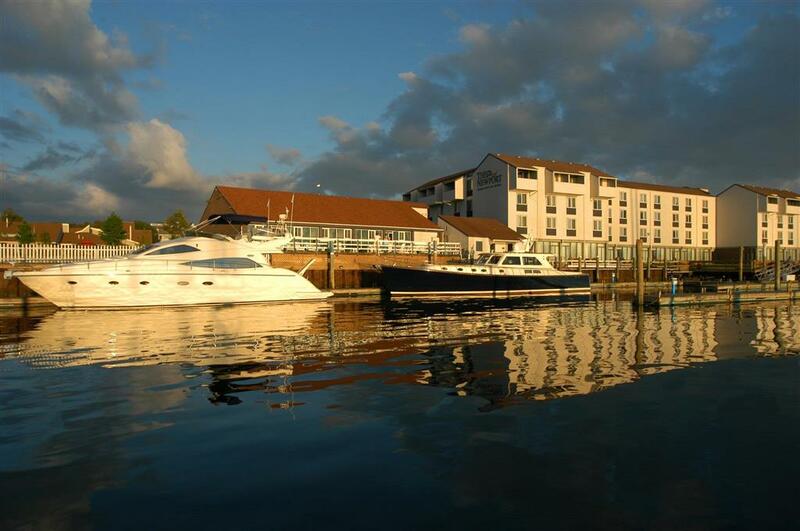 Newport Harbor Hotel and Marina is situated in the best location in Newport downtown and on the harbor.